Bring the perfect amount of fun, adventure and style to your childs room with the Your Zone Twin Over Full Bunk Bed. This space saving piece is crafted with a sturdy wood construction and a traditional design that features timeless aesthetics and years of durable use. 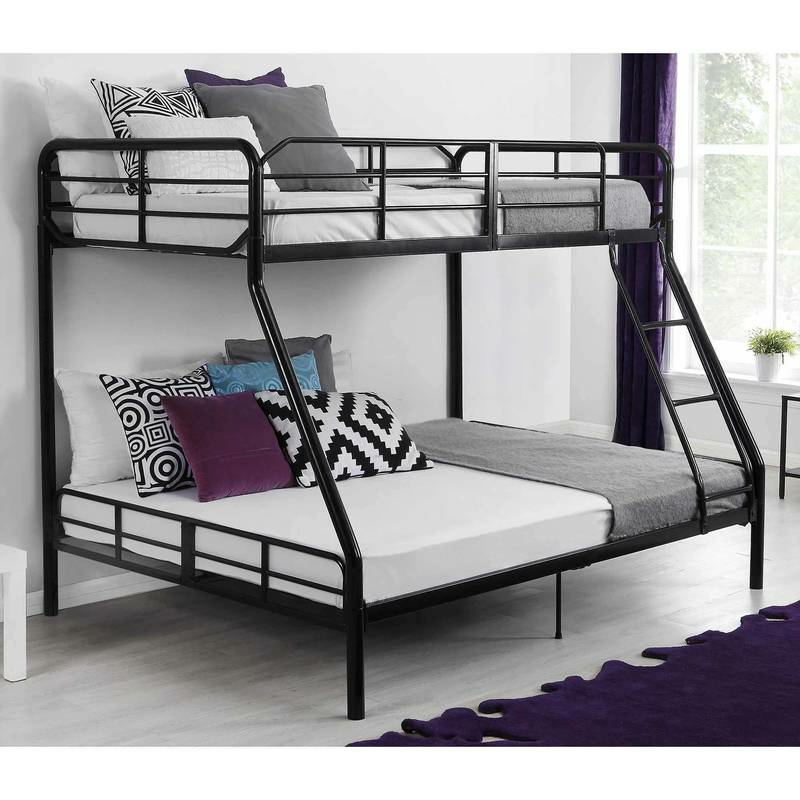 When space saving is no longer an issue, this solid bunk bed easily converts into two separate twin and full beds. The horizontal slat detailing combined with heavy posts create a classic look that blends well with any decor. It is equipped with two guardrails on the top bunk and a secure four-step ladder providing easy access for children while leaving parents worry free. Make bedtime fun and watch the versatile Your Zone Twin Over Full Bunk Bed grow and change with your familys needs for years to come. Your Zone Twin Over Full Bunk Bed, Walnut: A.